A VPN is becoming an absolute necessity in almost all countries across the world both for privacy protection and accessing the service and content you want without restriction. But how do you go about choosing a VPN service? and more importantly if you’re new to VPN use, how do you go about selecting a VPN service that is easy to use and beginner friendly? In this guide we aim to answer that question. After extensive hours of testing, we’ve found IPVanish to be the best VPN if you’re a beginner. 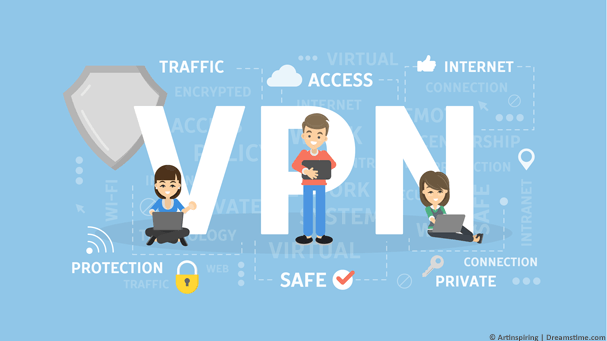 If you want to shop around then the following five are our top picks of VPN services for beginners. All you really need to do is choose one. IPVanish has shown itself to continually be one of the best VPN services in general. There are plenty of sub-standard VPN services out there but the quality and speed of their network far outperform the competition. Easy to use one-click apps are available for all major devices which includes Android and iOS mobile devices such as tablets and phone and Windows and Mac systems like desktops or laptops. There is even an Amazon app which is suitable for the Fire TV and Fire TV Stick. With their custom apps you can get connected to their service within just one or two clicks, no messing about and no fuss. There is no live help available if you get stuck but the support ticketing system is quick to reply and helpful so if you do run into issues you can get a fast answer to your query. On top of that there’s a 7-day money back guarantee that allows you to test the service risk-free. If you struggle to get it to work or in the unlikely case you find it too difficult to use you can simply get your money back. NordVPN offers some of the easiest to use and most friendly looking apps which if you’re a new user is definitely a bonus. Connection can be made using a simple map interface so you can just click the country on the map you want to connect to and let the NordVPN app do its job. Apps are available for Android and iOS devices and Windows and Mac systems and they’re all equally as easy to use. If even that is too difficult then NordVPN will connect you to the correct servers based on your usage. 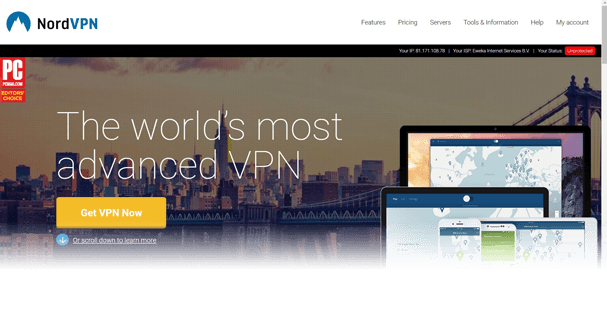 Such as you want to use NordVPN for “Security”, “Streaming”, “P2P or “Anonymity”. This takes out any of the guesswork and lets you get on with your internet use without interference. To top it off, NordVPN offers a huge 30-day money back guarantee which is about the longest you’ll get in the VPN industry so there is plenty of time to test it out to decide if it’s suitable for you. When you’re new to VPN use even knowing which VPN server to choose for the best can be confusing. CyberGhost VPN have answered this as their apps are broken down into helpful sections. Surf Anonymously, Unblock Streaming, Protect Wi-Fi, Torrent Anonymously and a whole host more are options for you to choose. This removes the guesswork and ensures you connect to the best location for your usage. When you feel a little more confident you can of course choose server locations manually. This is great for easing you into using a VPN and if you want you can continue accessing by selecting usage scenarios instead. As well as the incredibly simple range of apps there is also a 30-day money back guarantee so there’s no risk. If you’re still a bit unsure then there is even a 7-day trial and although it doesn’t offer access to the full service it will let you get a good idea of what CyberGhost VPN is about. If you’re a beginner then dedicated apps from a VPN service are the way to go and ExpressVPN has more apps than any other provider. Mobile users have options for both Android and iOS apps with desktop and laptops covered by Windows and Mac OS software. If you’re an Amazon Fire TV or Fire TV Stick user then there’s an app for that and Ubuntu Linux also has a client for easy connection. If all that wasn’t enough then there are even apps for some select routers. The apps feature a large connection button and all you need to do is pick a country (or even city) you want to connect to and click the connection button. The apps take care of all the complicated work of getting you connected. A 30-day money back guarantee is available giving you plenty of time to test the service. There are also servers in more than 94 countries across the world which means it’s suitable to be used anywhere either as a resident or traveller. If you’re looking for simple apps then it doesn’t come much simpler than VyprVPN. Both their mobile and desktop apps look the same so once you’ve used one it’s easy to transition to using the other. They’re also some of the best designed we’ve used. Simply select a country to connect to and hit the connect button. There really is nothing more too it. As a beginner one of the biggest hurdles is paying for a service because you don’t know if it’ll be any good or even if you’ll be able to use it effectively. VyprVPN alleviates that fear by offering a completely free 3-day trial. You do need to enter some payment details to get the 3-day trial and as long as you want to keep the service you don’t need to do anything else. It’s also simple to cancel and if you do this before the 3-day trial expires you won’t be charged anything. Signing up for a VPN service when you’re new to VPN use can be a daunting task. There really is nothing to fear though because we’ve all been there and to understand their use is really not as hard as it may seem. Most providers such as the five listed above offer custom apps for all major devices which take all the complicated set-up away and let you get connected and secure with just one or two clicks of your mouse or taps of your screen. Services like NordVPN and CyberGhost VPN both have helpful apps that don’t expect you to know what server to connect to, instead they guide you by your needs and usage. It’s definitely worth considering a provider that offers a money back guarantee. All five providers listed above do but some are longer than others. IPVanish is the best service but their money back guarantee is limited to 7-days. While that’s more than enough time to test the service you can get a 30-day money back guarantee from the likes of ExpressVPN. Searching Google for a VPN service is a huge mistake, there are so many choices and many of them won’t be suitable for beginners. It’s much better to consult a guide such as this as we’ve tried and tested the services. All you need to do is choose one of the five above, it really doesn’t matter which as they’re all beginner friendly. A long time ago VPN services were complicated to connect to. Thankfully this is a long time ago and it’s not the case anymore. VPN services that market their services to individual customers such as yourself rather than business have long since created their own custom apps and software which makes the connection process painless. Simply pop-in your login details, select a server and hit connect. The app does the rest of the work for you leaving you to continue browsing the internet as normal. As a beginner you want to avoid services that don’t offer custom apps or software for your device. Manual set-up requires downloading a generic VPN connection app, downloading configuration files for your VPN service and then tinkering around with settings plus more to get it set-up. If you’re an intermediate user then it’s not too difficult but we’re assuming you’re a beginner and there really is little difference between the two. In fact the custom apps useful for beginners often have additional features such as malware protection and other leak protections that wouldn’t be available if you set the service up manually. Thankfully VPN services are actually incredibly easy to use these days. As more of us are concerned about our online privacy or wanting to access content from others countries, VPN providers have made access simple. It’s nothing more complicated than downloading an app for your device, logging in and hitting connect. If you’ve downloaded any app from your app store before or software for your computer like a banking app or even the Facebook app then using a VPN is no more complicated. For protecting your privacy you can simply choose to connect to your home country or one nearby. For accessing blocked websites or TV services just connect to a country that the service is accessible in. How long you need a VPN service is all dependent on what your usage is and why you need it. If you want to protect your privacy then this is an ongoing issue. Online privacy issues aren’t going to go away anytime soon so subscribing for a longer period is best. The longer you subscribe to VPN services the cheaper they become. It can often be 50% cheaper to pay yearly than to pay monthly. It’s now common for VPN providers to offer 2, 3 or even longer subscriptions. We generally recommend shying away from these because you never know if the quality of the service may suffer in the future. While it’s unlikely, it is a possibility. For that reason we recommend signing up for 1-year. However, if you’re prepared to commit longer then you will get an even better deal. Paying for a VPN service may seem like an expense you don’t need but for the price of 1 coffee per month you do get an awful lot. Most VPN services like the five recommended above allow you to connect 1 account on up to 5 devices at the same time. This means you can potentially protect your home computer, laptop, tablet, phone and TV box all from one account. Alternatively you can get one account and protect your entire family. Not bad for the cost of a single coffee per month and if you pay yearly it would cost the price of half a coffee. 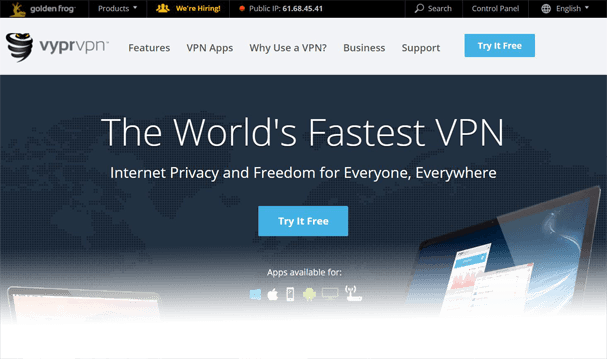 Regardless of your skill level searching for a reliable and fast VPN service can be difficult. There are anywhere between 300 – 1000 commercial VPN providers and if you do a quick search of Google you can be left with a headache. We’ve tried and tested a whole range of VPN services and we found the five above to be the best for beginners. We recommend signing up to IPVanish if you’re still confused as they’re just that little bit faster than the others. However, any of the five above are suitable. All you need to do is choose one and sign up.